Please use this link to sign-up to volunteer! We appreciate your participation and look forward to working with you! 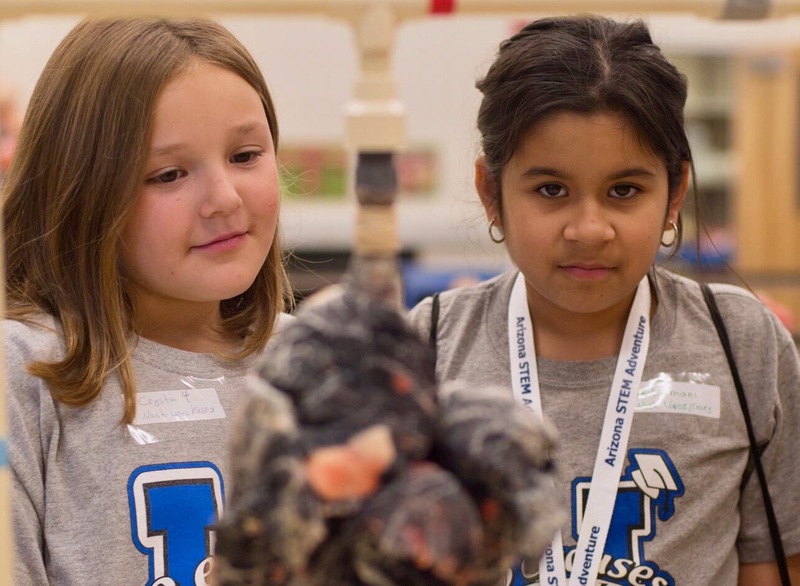 On November 16, 2018, AZStemAdventure will again welcome more than 1,000 fourth- through eighth-grade students from across Southern Arizona. Exhibits and demonstrations for these children will include laboratories to launches, and from animal observations to feats of engineering. They will explore their paths to the future! Arizona STEM Adventure continues its successful partnership with Pima Community College, SARSEF, Raytheon, IBM, and much more. Pre-event (7:00am-12:30pm) Set-up, Parking lot attendant, lunch set-up. Volunteer duties will consist of assisting with setting up the parking lot as needed, providing traffic directions, working traffic flow, assisting exhibitors with pre-event setup, transporting/organizing student lunches. Event (8:00am- 1:30pm) Student chaperone. Volunteer duties will consist of assisting with navigating the campus and event with the 4th-8th graders. You must be familiar with all areas of the Northwest Campus and enjoy working with school children. Event (8:00am-1:30pm) Exhibitor assistance. Volunteers will assist exhibitors with their activities. You would also be responsible to keep track of time for the activities to ensure that maximum numbers of students can experience each exhibitor’s activity. Having some STEM knowledge may be helpful. Event (8:00am-1:30pm) General Volunteer. Volunteers in this area will be flexible and able to assist with all areas of the event – student chaperon, exhibitor assistance, event area coordination, etc. This is a good option if you are flexible and do not have a preference over any of the categories. Event/Post-event (10:30am-3:30pm). Lunch set-up/clean-up, parking lot attendant, general clean-up. Volunteers will be responsible for assisting with student lunches, trash/general clean-up, parking lot attendant and ability to assist with traffic flow, classroom clean-up, etc. Volunteers are asked to participate in the entire shift they sign up for. As volunteers begin to apply, and positions become filled, options to volunteer may become limited. Options are based on a first come first serve basis. Thank you for your help supporting AZStemAdventure November 16, 2018! ◄ SARSEF September News Flash!